There are FREE themes and there are PREMIUM themes. 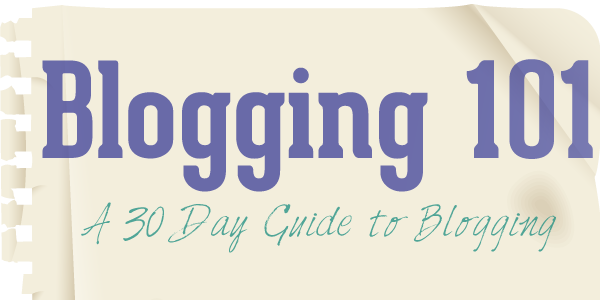 If you are on a budget or not sure the direction of your blog just yet, then I suggest sticking with a free theme. However, you will find later in this post just how important a QUALITY theme can be so be sure to consider the investment later. WordPress has a free directory you can browse. You can also do some web searches for what you want. The Layout- Many themes allow you to choose where your sidebars are or how many you have. How customize-able is it. You may want to change the header across the top but not all themes make it easy. Same with things like color, fonts and so on. Does it come with any support? Many theme owners offer a forum where you can report problems and get some technical help. What are others saying about the theme? See the image below to learn where to read others comments about the theme. There are two main ways to install a WordPress theme. 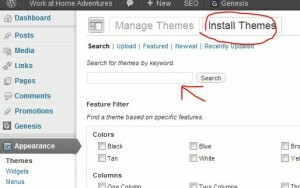 Write down the name of the theme and go to your WordPress Dashboard. Under Appearance in the sidebar choose “Themes”. Once you find the theme you want, click the install now and then Activate it. You may need to read through the theme’s instructions where you found it to learn more about the set up process and how to customize your theme. The way your site is built controls a lot about your ability to make it to the top of search engines and be seen! It can also make or break you if your theme comes packed with any Google forbidden hidden links (this plugin is a great tool that allows you to see if your theme is hurting you). A themes structure can determine how secure or vulnerable your site is from hackers. Also, WordPress itself updates all the time and if your theme does not have the support that follows suit then your site may not function properly after time. If you must choose a free theme I would take the advice of Smashing Magazine who lists the best options. The above comes with great online support and are built solid. Elegant Themes is a great deal for the price and is so user friendly it is amazing. StudioPress is more expensive but is possible THE best built theme. Thesis too is well built. However, for the beginner user it can be confusing to set up the way you want. But there are many online tutorials and helpful people who can help you if you are the daring type!